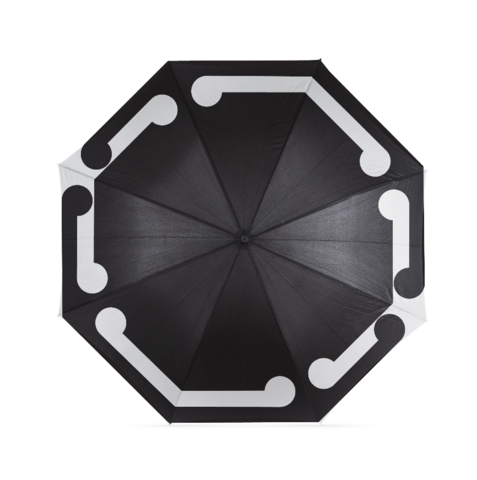 A compact umbrella featuring the stunning Koru-like design of the late Gordon Walters (NZ). A smart umbrella for those rainy days. Keep in your car, brief case, luggage, handbag..makes a great timeless gift to mark a special occasion. Matt rubber handle with storage sleeve and auto open button. Size: when closed 290mm long.